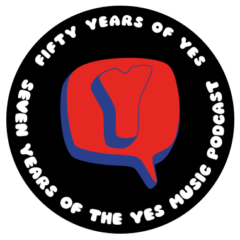 The twenty-sixth episode of the Yes Music Podcast featuring the live album, ‘90125 THE SOLOS’. Should they just have released the whole soundtrack of the 9012LIVE video? Does the record define this time in live Yes music? Is it worth searching for a copy of this rarity? They should have just released the entire audio of the concert with the solos. However the 9012LIVE video is also just snippets of the full concert. The bootlegged DVD of the Dortmund ’84 show is a far better show and souvenir from this tour. It doesn’t have the band all doodled up with hairspray and makeup and its much less polished and hasn’t been fixed up in the studio. It’s actually my favourite Yes concert that I own on DVD. Thanks for the comment, Paul. I must say, I love a good, long solo. It’s not fashionable but I even really like the ones Roger Taylor used to do in Queen shows! Just bought the extended version of this when I was in Auckland for the Yes show there – just an extra two tracks – City of Love & It can Happen from memory. I recall when it was first released in the mid 80s and being horrified that they were selling a 30 minute album at full price – so I avoided it. Playing it for the first time a few weeks back it really is a pity they didn’t include more of the live 90125 tracks they played on that tour. The ones included on it come across well. A shame really as this is the only official release from this tour. Agree with your comments, Brian. It is an odd little collection but a few great gems!